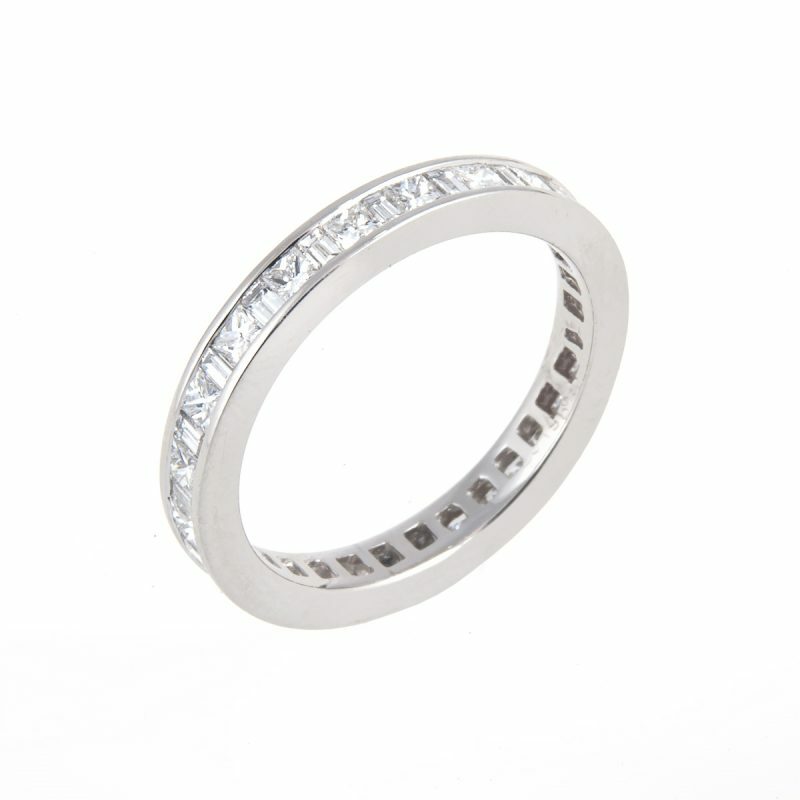 Platinum princess cut diamond 7 stone half eternity ring mounted in neat a channel setting. This cut of diamond combines the brilliance of a round diamond with the elegance of a square cut. 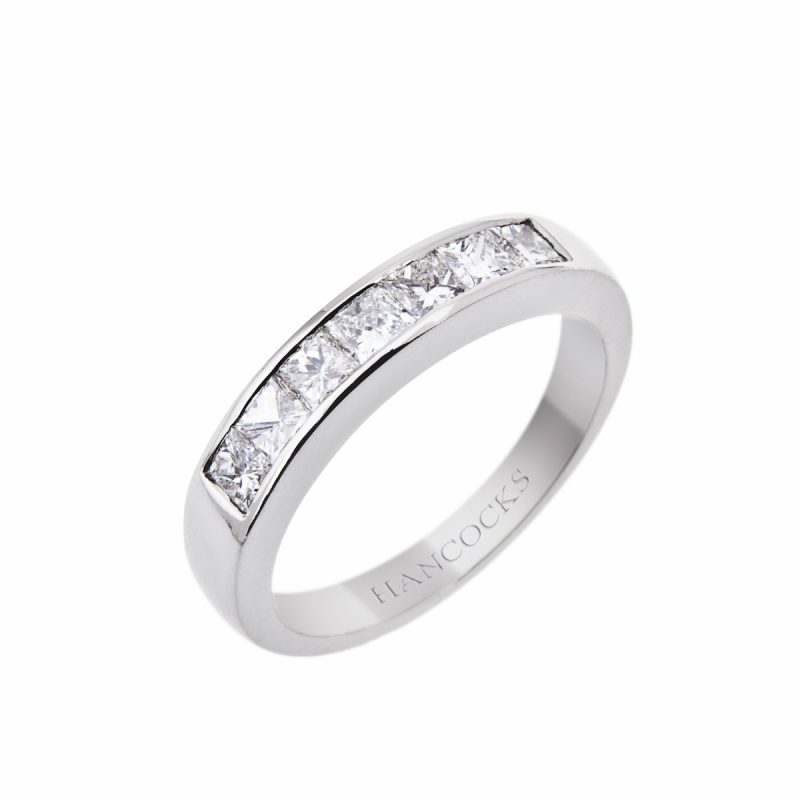 Viewed by many as the classic symbol of love, the eternity ring is a continuous line of gemstones, most usually diamonds and is a perfect choice to celebrate that significant anniversary.